Given the litany of reasons for building a Hyperloop along this corridor, it should come as no surprise that AECOM and team HyperCAN are not alone in proposing that it be built. TransPod Inc, a Toronto-based Hyperloop company, is also interested in constructing a Hyperloop lines in countries where aging infrastructure, high-density populations, and a need for new transportation networks coincide. 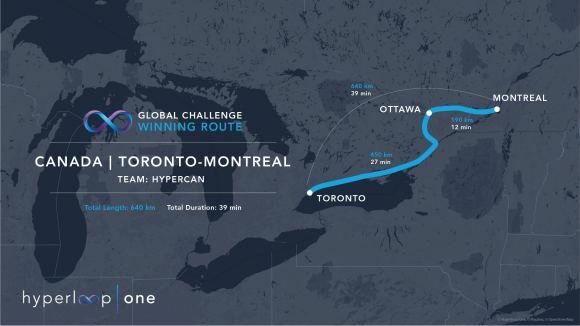 The post Proposed Hyperloop Route Between Toronto and Montreal! appeared first on Universe Today.